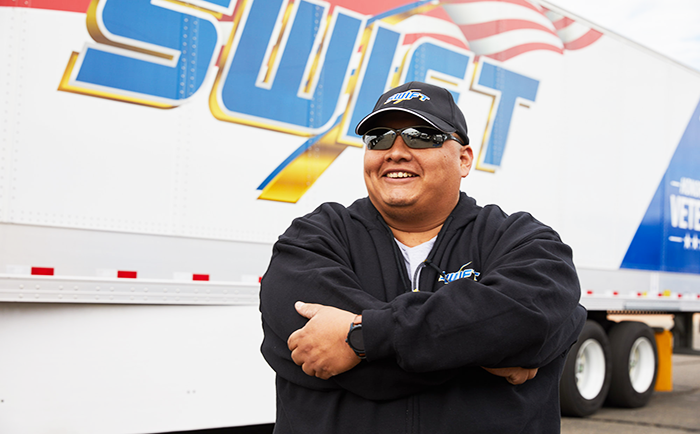 No matter what drives you – a passion for the open road, career independence or financial security, jobs for CDL drivers are in demand and Swift has the driving opportunities for you. 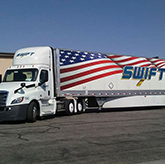 Class A CDL truck drivers looking for jobs know that Swift Transportation is a powerful force on the road with more than 16,000 trucks and 60,000 trailers. And while we’re busy making a difference in the everyday lives of millions, we’re dedicated to delivering success to you. 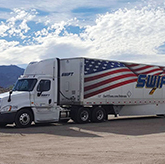 Truck drivers looking for jobs know they want to drive for the best, that is why they want to join Swift Transportation, and they are in it for the long haul. 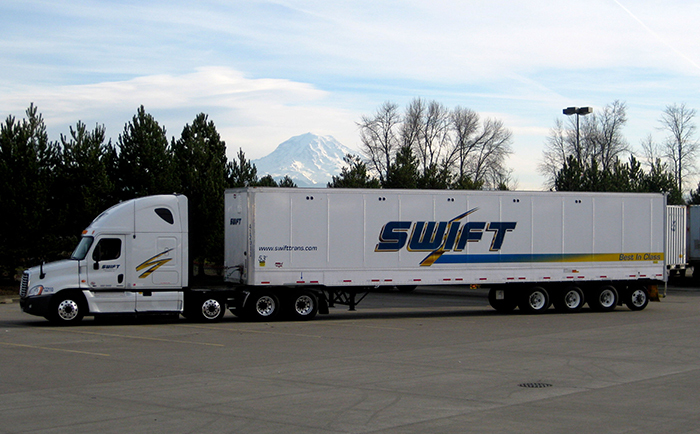 Swift offers more dedicated routes, with daily or weekly home time. As an experienced driver, you can choose between traveling the country or staying close to home. We cater to the work/life balance that works for you. See top accounts hiring below! 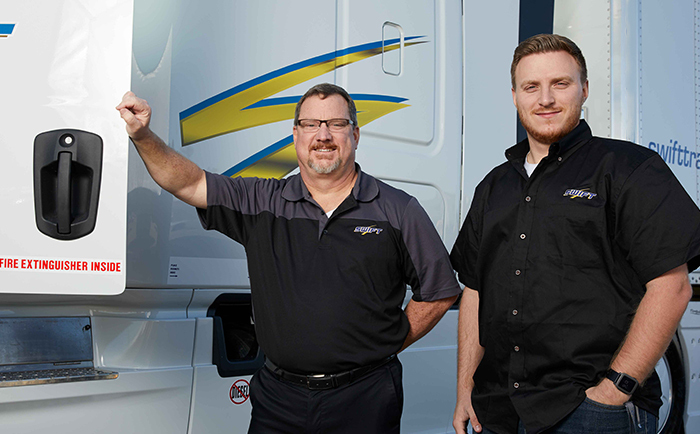 We’ve increased our over-the-road pay PLUS added a bonus plan that allows you to earn up to an additional $3,000 in your first 6 months of driving OTR Dry Van, Refrigerated or Flatbed! After 6 months you qualify to participate in our Driver Ranking to earn even more. 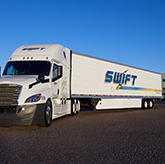 Swift lets you drive your career forward with training for every position, as well as continued educational opportunities. Start as a driver, become a mentor, or advance to working in one of our many terminals. 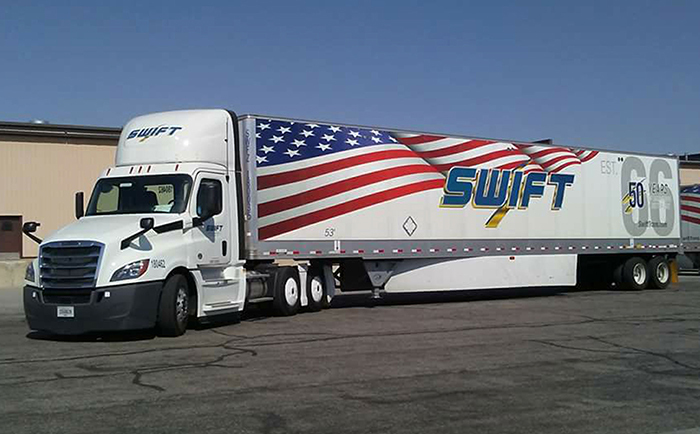 Swift’s always got your back – 24 hours a day, 7 days a week with our Extended Coverage Team. Our network of support terminals extends from coast to coast, so you’re never working alone. Swift is nationally approved for the Military Apprenticeship Program. If you have these benefits, which include the GI Bill, use them to your advantage and get paid on the job CDL training. 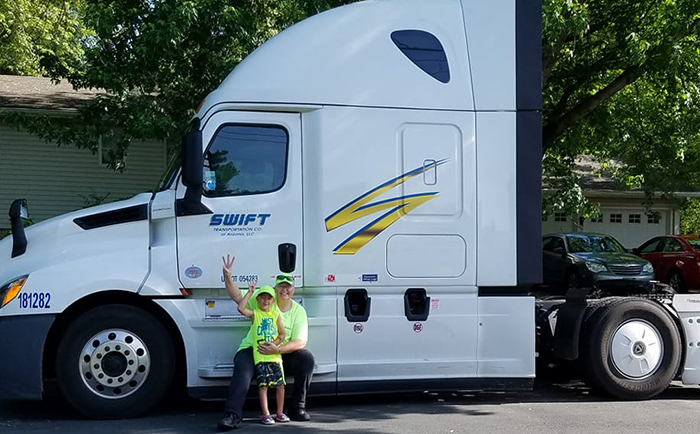 As an experienced CDL-A Driver, you want the rewards of a successful career. 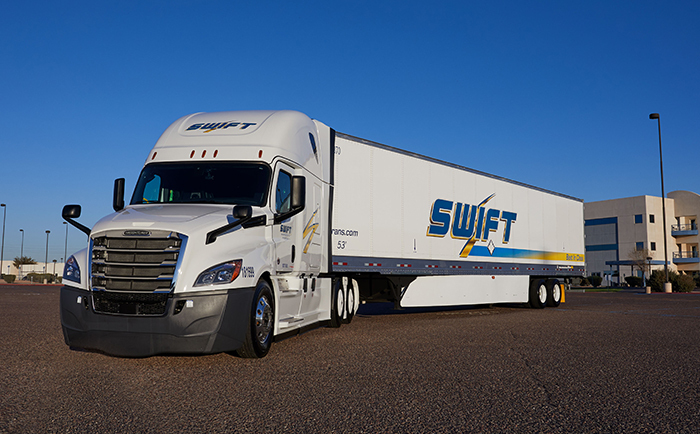 Swift delivers more miles, more loads and more pathways to expand your career than any other carrier. We offer various hauls. Choose the one that fits you best! It's the classic 53' trailer. Most freight is no-touch, drop, hook and go! Over-the-road and dedicated opportunities available. Would you rather be home more often? Our customers keep us moving! We have a wide variety of dedicated opportunities that offer consistent freight and home time. At least 3 months experience required. See top accounts hiring above! 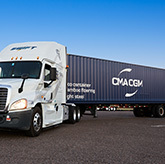 Looking to launch your CDL career to the next level? 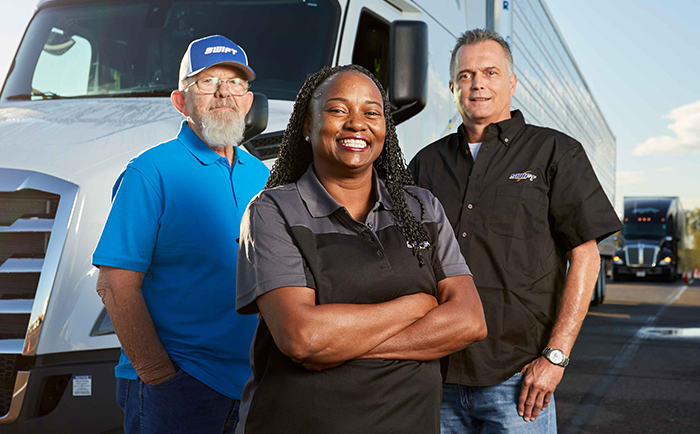 Give yourself the edge, stay competitive, and earn more by joining a specialized team as a Flatbed driver! Additional training, over-the-road, and dedicated opportunities available. 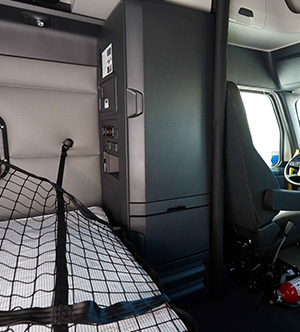 Be in it for the long haul with our heavy haul. If you live in the Pacific Northwest, we have the opportunities for you! Premium pay is offered on this fleet. From the road to the rails, Intermodal gives you consistent freight and set schedules while keeping you close to home. 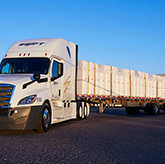 Per load incentives and weekend mileage bonuses are also offered in this fleet. Furthermore, 99% of the freight is no-touch! Do you have a TWIC card? 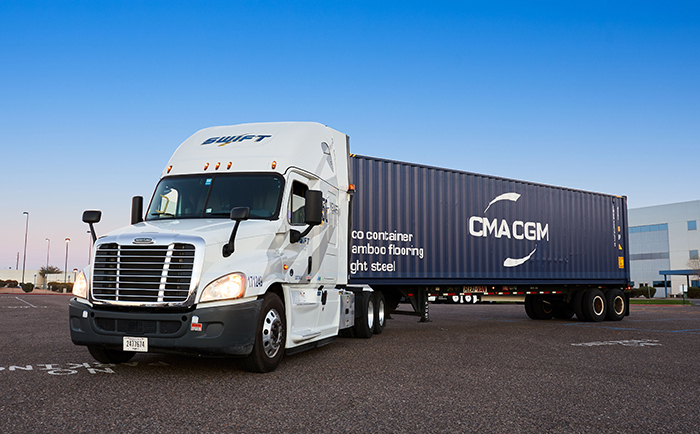 From the ports to the road - Ocean Containers give you consistent freight close to the water. Dedicated opportunities available. Cool opportunities reside in this fleet. 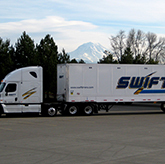 Our temperature controlled trailers offer Drivers consistent freight and miles. This fleet also has the most dedicated opportunities available! 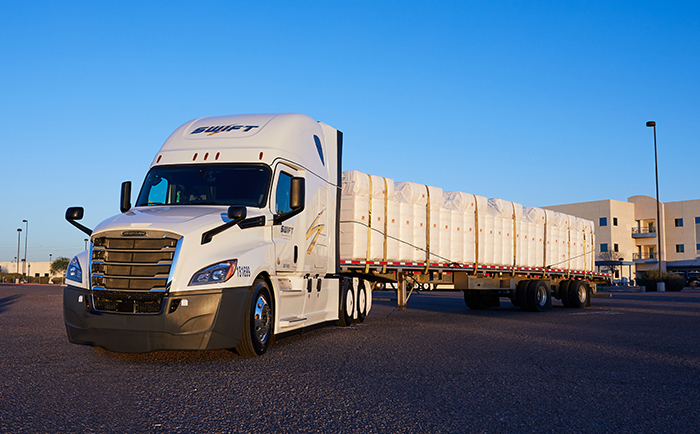 Express drivers are home daily hauling freight on short routes. Join this fleet for an eased driving experience! 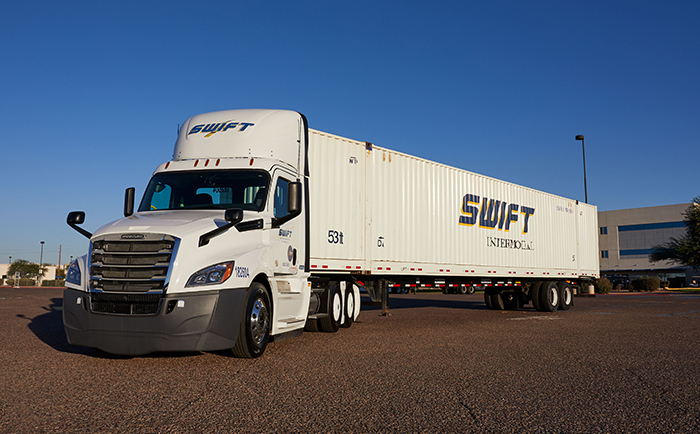 Swift partners with some of the industry’s top manufacturers, using late-model Freightliner and Volvo tractors – 92% of which are less than five years old. 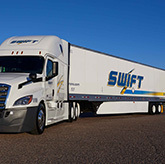 Swift offers Company Drivers fully-paid college tuition in partnership with Southern New Hampshire University. 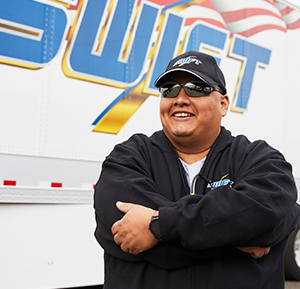 Drivers can earn an Associate's or Bachelor's degree while being employed with Swift, 100% online at their own pace. 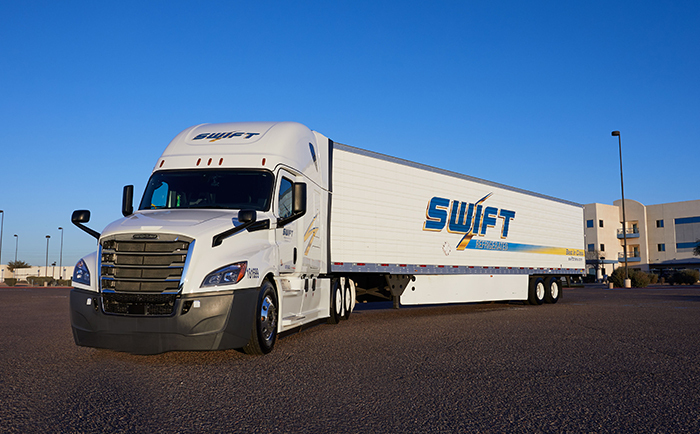 Swift is a company of their word – they sold me on themselves and I never looked back. 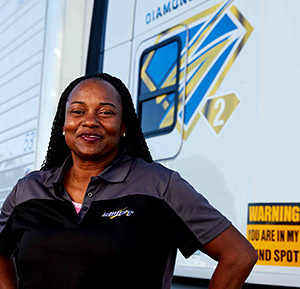 I am a 7 year Diamond Driver and I am happy with the decision I’ve made." I think being a female driver is outstanding, a lot of women should try it – it’s an amazing experience, you get to travel, you have so many challenges you get to overcome." When you see these vehicles, they are very intimidating. To me it was an achievement. I told myself I can do it, and I’m so happy that I did. " The majority of our fleet pays out on a per mile basis based on experience; the more verifiable experience you have, the higher the rate. A Swift recruiter can provide you details of our pay scale. Yes, we have medical, dental and 401k plans. Depending on your experience, you would qualify the first day of the month after you've enrolled and completed 30 days of continuous full-time employment OR after 60 days of continuous full-time employment. Do you have regional or local positions in my area? A recruiter has the most current dedicated account availability. 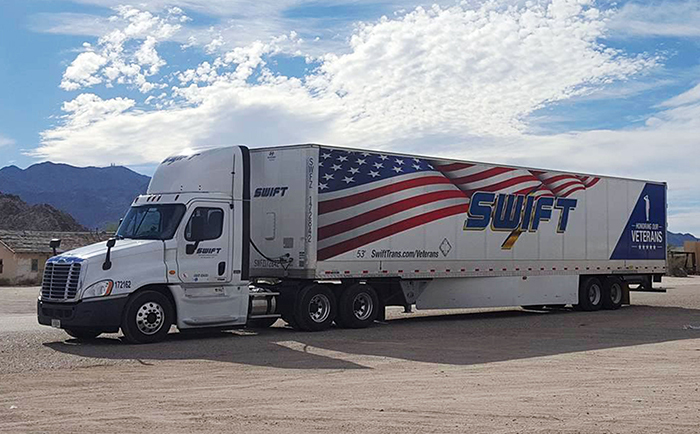 Give them a call and they will let you know what Swift jobs for CDL drivers are available – this includes regional or local routes in your area. We are always looking to hire great Mentors to our fleet! 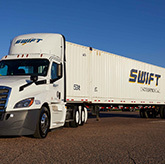 You would qualify after at least 30 days with Swift, having 6 months previous driving experience. Give a recruiter a call for more details. We run Dry Van, Refrigerated, Flatbed, Intermodal, Ocean Containers and Heavy Haul. Can my dog and/or spouse ride with me? Yes! We have a Dog Policy and a Rider Policy. Paperwork can be provided during orientation. Also, we do allow service dogs, which your recruiter can provide more information about. Are you currently offering a sign-on bonus? We do have Class A CDL jobs with a sign on bonus. We are currently running an up to $3,000 sign-on pay plan for OTR Dry Van, Refrigerated and Flatbed drivers. Also, select dedicated accounts are offering transition pay up to $3,000! Give a recruiter a call for more details. 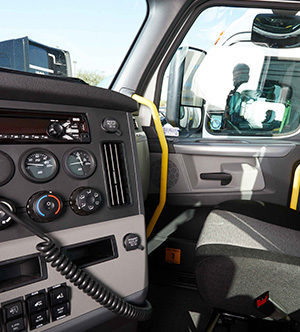 Do we have inverters, auxiliary power units, or refrigerators in the trucks? We have 1800 watt inverters in our tractors. What speed are the trucks governed at? 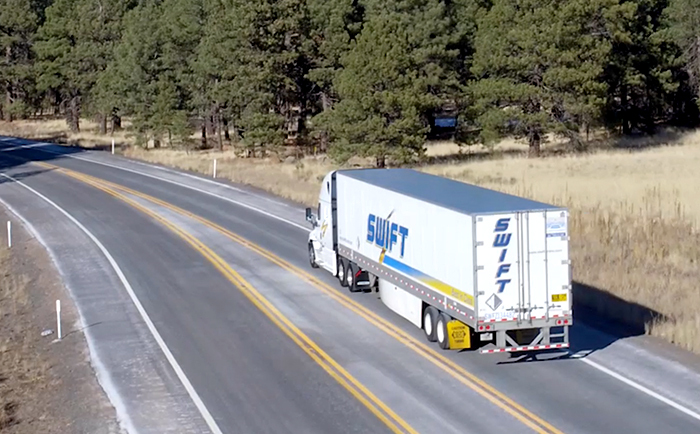 Swift tractors are governed at 63 mph on the pedal, 65 mph on cruise, and have a pass smart option of 67 mph. 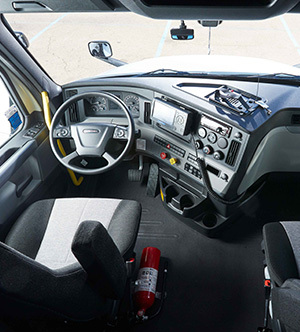 Are trucks equipped with a driver cam? Yes, although we no longer have inward facing cameras. Do you have lease programs? Yes! That team can be reached at 800-467-6016.